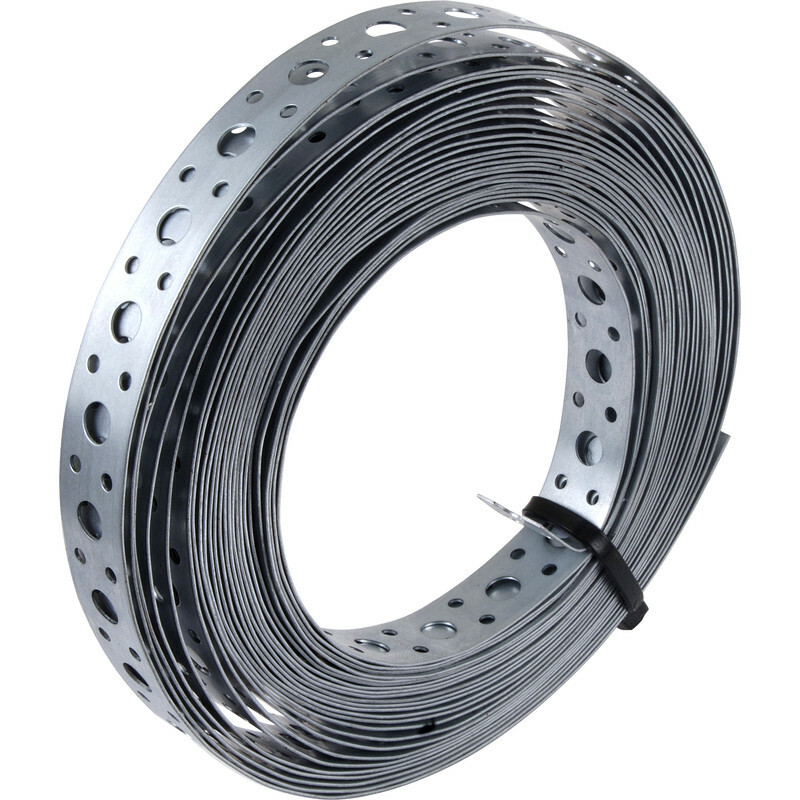 Perforated galvanised band which can be easily cut or bent to provide a quick and reliable fixing method for general construction and other applications. Galvanised Banding 20mm x 10m is rated 4.7 out of 5 by 20. Rated 1 out of 5 by Petegas23 from Cheap rubbish! Bought this strap band to hold up a pipe rack on the inside of my van, not very heavy! Snapped in the second day. Rated 5 out of 5 by Sadmaninsane from Great product I have this because of the price. Also it well made and has done the job perfectly. Rated 5 out of 5 by granddad gnome from great value for money compared to buying twisted roof joist fixings this has saved us two thirds the cost, by making our own. And I still have loads left . Rated 5 out of 5 by TashWJD from Brilliant I bought this to make some cookie cutters. It’s very long so I can make many more.